Being a creative cook can have its downsides; things can at times go horribly wrong. But every now and then I stumble upon something which is a revelation. You’ve probably all by now heard about the latest taste sensation, umami. Umami has been heralded as the ‘fifth taste’, along with sweetness, saltiness, sourness and bitterness. This stock discovery is to me pure umami. I love adding this stock to risottos and soups – in fact I’d be quite happy just drinking it as is. 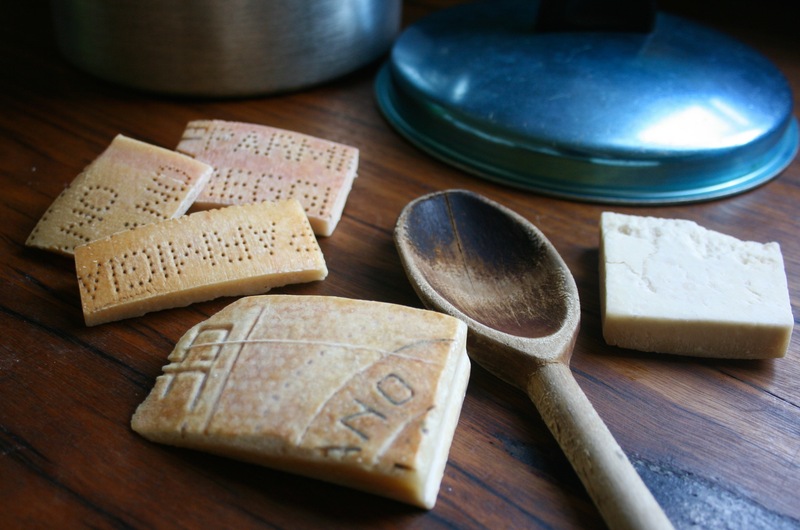 2 cups parmesan crusts (450g/16oz) – I always save these after using the block of parmesan, and place in a freezer bag. Once I have enough, I make this stock. Place crusts and water in a saucepan and bring to the boil. Turn down and simmer for about 10 minutes. Strain the stock and discard the crusts. Store stock in an airtight container in the fridge or freezer for later use.